The peacocks serve to remind the team to always show their true colors. 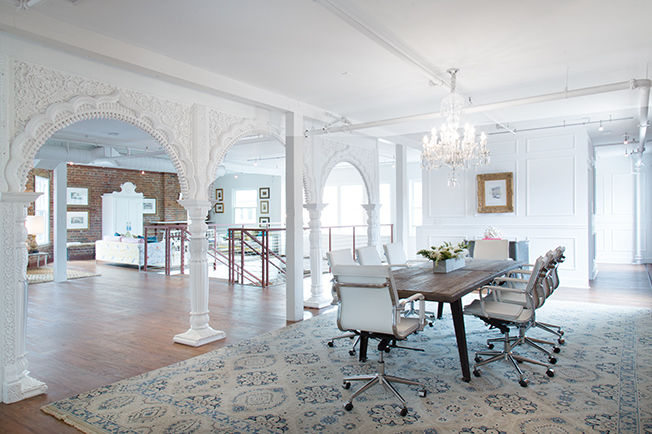 The Parisian motif is carried throughout the office, from the architectural moldings to the chandeliers and eclectic patterns. The open space has several glass conference rooms that provide privacy but still reflect the transparent aesthetic. Art, architecture, travel and design books stir imagination and creativity.